Thanks for this – it’s great. It saved my life!!! Thanks for this. It saved me a load of work! 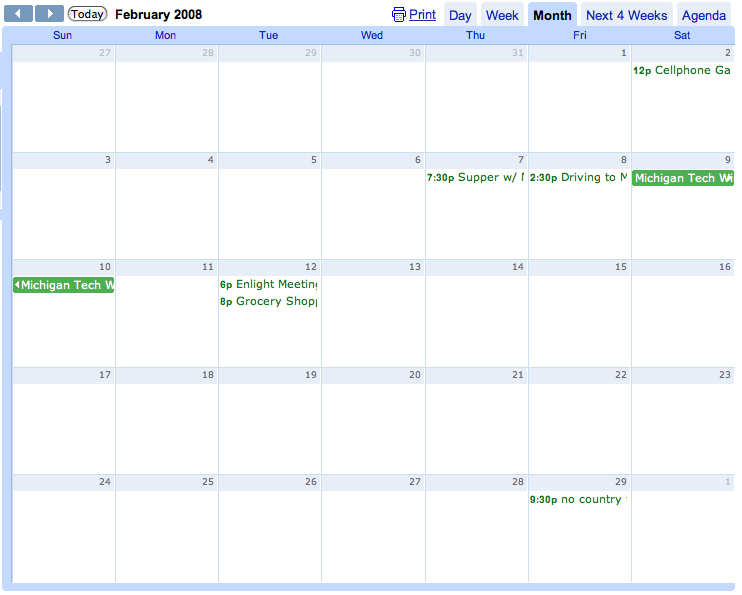 Also discovered that you can embed several calendars into the one view without having to merge them. This embedding method also retains the original colours of each calendar!! how do you do that? I want to have my calendars automatically update upon new events and this option won’t do that as you have to upload the document every time to update the events. You mentioned “embedding” retains the original colors. How do you do it? Thanks for posting this — exactly what I needed. Save the calendar as an ical calendar file (.ics extension). you can choose any file name that you like, but you will need to remember it and be able to locate it again for step 4. If that’s still confusing/not working, try this: right click on the ICAL link, and select “Save As…”. (you may see “Save Link As” or “Save Target As”, those are good too). When the file chooser appears, press the “Up Folder” icon (A folder with an arrow going left and up on it, located near the top of the file chooser window) many times until you reach your Desktop. Now, enter a name, such as “calendar1.ics”. Then follow the steps until Step 4. When you click on “Browse…”, repeat the same procedure: click the “Up Folder” icon many times to reach your desktop, and then select the file you just created, “calendar1.ics”. Hi. Thanks for this, but I can’t find the “add” button on my calendar at all. Where exactly is it? I’m looking at the new calendar I want to import my old calendar into, and under the “My Calendars” tab there’s only “create new calendar” and “settings,” not an add button. Maybe things have changed since you wrote this post? Thank you, this was very helpful. If only it were so easy to merge gmail accounts! If you’re looking to do what I think you are looking to do: copy all mail from an old_account into a new_account, then here is what I would recommend, based on what has worked well for me. Once you have added both accounts to your local mail program, simply drag the messages you want to migrate from the old_account to the new_account, in the appropriate folders. This will take some time, as all the messages will be first downloaded to your PC, then uploaded again, but is well worth the wait, because everything (dates, sent addresses, etc) is preserved correctly. You can automatically label all messages that you are transferring in this way by creating a new folder in the new_account’s IMAP section, and dragging the messages to that instead of the Inbox. The name you give the folder will appear as a label back in GMail. Good luck! And let me know if any of this is unclearly written; I will try to better explain. This is a great tip. Nicely written and nicely done. Thankyou for taking the time to share. I need to put my tasks into my calendar. Is there any way to do this? Thanks you so much! Exactly what I needed. Thank you again for the instructions…..IMPORT……how obvious is that?????? Obviously not very, because I (and many others) had to do a search and end up here to find out how!!! As many have said, found this while search “merge google calendar” Thanks for clear answer and taking the time, was very helpful – (also, love the header photo – very zen). Thank you – a great help! Great – I found this searching for ‘merge google calendars’ too. One question though – will I need to keep on doing this to keep it up to date? Yes, if you are making changes to the source calendar(s), you will need to keep doing this if you want your destination calendar to remain updated. 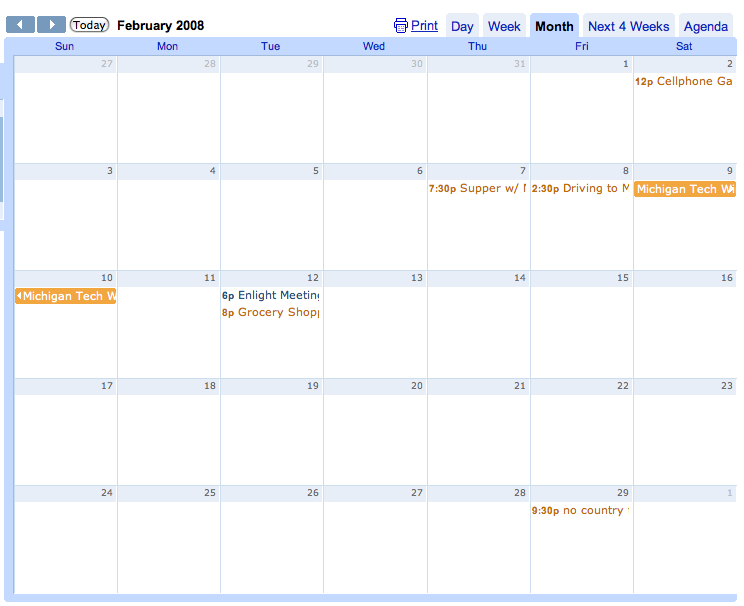 Exporting & Importing the calendar(s) like this is a “one-time” synchronization: you copy a snapshot of all the events on the source calendar into the destination calendar one time only. If you want to see many calendars in one “view”, you can always add each calendar to your Google Calendar page, but unfortunately I do not personally know of any way to merge them into a single calendar with live synchronization at this point. Failed to import events: Could not upload your events because you do not have sufficient access on the target calendar..
Will they be merged on an ongoing basis this way, or is this solution just backward looking? So helpful! Thanks; if only they made it easier to naturally know how to do it all yourself. It works but it does not remove duplicates. eg. Merging two or more holiday calendars. Common holidays such as Christmas, New Year’s Day, Easter, etc. will not merge together to leave one. Could not upload your events because you do not have sufficient access on the target calendar.. The problem is being caused by your primary calendar already having items in it. You must first wipe out your primary calendar before adding the *.ics file. 1) Save a backup copy of your primary calendar as an *.ics file using the process described here. NOTE: Be sure you right-click on the Private iCal link. If you try to save the public file, all you’ll get is a hypertext link. 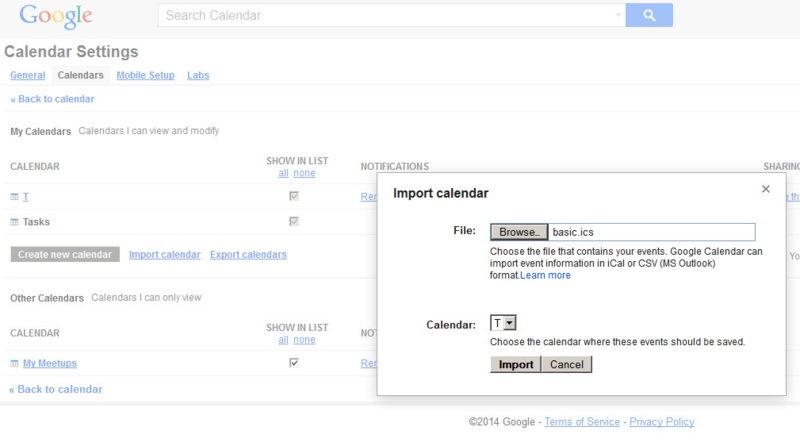 2) Go to “Settings : Calendars” and delete your primary calendar. A pop-up box will appear warning you that you are about to delete everything in your primary calendar…that’s fine. Your calendar isn’t going anywhere, you’re just deleting its contents. Worked for me … 145 events successful, and no jibberjabber about not having enough access. So many thanks for your time on this! BUT you can merge any calendar into any (non-empty) secondary calendar AND/OR merge a calendar into your EMPTY main calendar. So, you got it ? Wish Google guys work on that issue ! @bruno – After seeing your comment, I tested these directions again this morning to be sure they still worked. Other than the Add button moving to the bottom of the list instead of on top, everything is still the same. 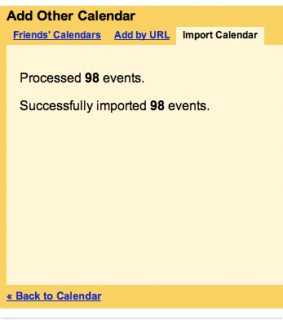 You should not have to delete events from the destination calendar before importing. If you find that this is isn’t working, I would check the sharing permissions on your main calendar. But I lost my colours – which was the main reason I made up separate calendars – any reason why? Thanks so much! The only directions I’ve ever found and perfect! BTW, if you do this with a public calendar, such as Religious Holidays, then you can edit to remove any unwanted ones or rename, etc. Thanks so much, thats perfect!!! just what i was looking for! Yay! My calendar agony is over! Thank you! Thank You! Very nice, thanks for the idea. Wow! This is incredible. Thanks for taking away a HUGE headache! What I have tried to do is set up notifications for my “Contacts Birthdays” Calendar…. however I do not have a private link to subscribe to it in the other calendar. Got any advice? I desperately need notifications for my Birthdays, that is the main thing I need to remember! Sorry, but didn’t get the happy message, instead ZERO ITEMS IMPORTED. Tried several times as per instructions. I have tried to post this question on the Help Forum in Google Calendar but have no replies. Just wonder if the experts here know how to have the words of the events of the calendar appear as “wrapped text” when printed in 2-weeks view or monthly view. I only have the two first words of each item and sometimes I cannot guess what’s afterwards. I’m sure other people must have raised this question before, as it is such an important feature in printing google calendar. Error says “unable to process file” Ideas? Thank you so much for taking the time to share this information in such an understandable way. You answered my questions before I had the chance to ask them! Ok, I have a second google calendar for mutual events for a friend and myself, and I want that second calendar to appear in my iphone. My first calendar events save in my iphone calendar, but the events in the second calendar don’t sync with my phone. They do sync with my personal calendar in google. I want this to by a live sync between the two calendar so when she updates events in the mutual calendar, they sync with iphone calendar. 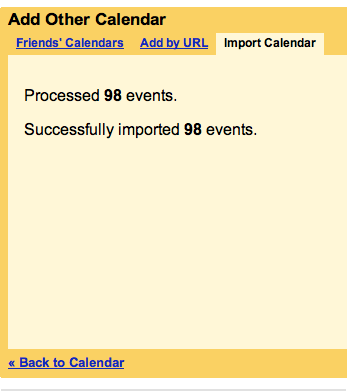 I have my main google calendar synched via exchange. THANK YOU VERY MUCH!!! These clear instructions were exactly what I needed. How do I maintain the integrated calendar in sync with the separate ones that comprise it? I.e., one Master calendar, then various sub-calendars that serve as components of the master calendar. @James: This method is unfortunately a one-time only process. It is the equivalent of copying & pasting all of your calendar items from the source calendar to the destination calendar, rather than setting up a master calendar / sub-calendar type of relationship. You may be able to get the effect you want with some 3rd party tools (e.g., you could add all of your private ICAL feeds to some 3rd party calendar app, and then publish the combined calendar from that app back to the web, and then add it as a shared calendar in Google Calendar.) However, I am not familiar with which applications may actually have this support. Good luck, and please let us know if you find a solution that works! I too only get a ” 0 items imported ” . Can you now if exist an automatic setting to merge more calendar into my calendar? The procedure import describe don’t import the change after the importing. I find myself wanting to shout at google “it’s my ***ing calendar, of course I have access”. Yet another example of how appauling google calendar is – meaningless unhelpful error messages. Getting data into google calendar feels like some kind of “dark art”. Shame it is nowhere near as reliable or easy to use as google mail. @James, I’ve got the same problem. I’ve been trying to figure out this for months!. 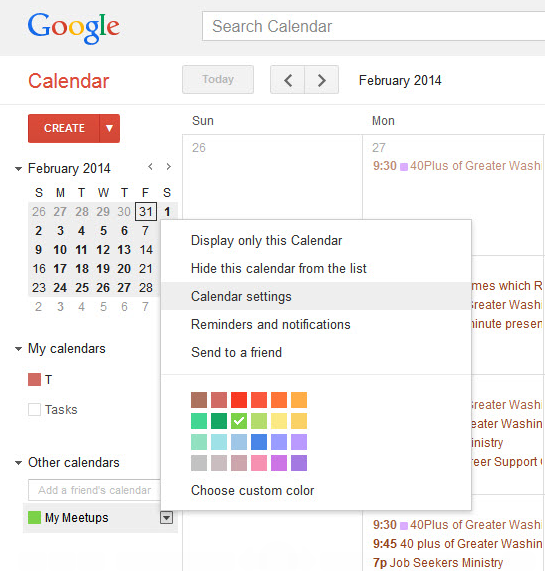 Is there a way to sync the different google calendars, but keep them in their separate colors? I followed your instructions (thanks!) and synced my three calendars, but now they’re all in the same color and it’s hard to tell apart my work calendar vs., for example, my appointments calendar. Thank you so much. Had trouble the first time since it saved it as a document scrap, just pasted in the url and it worked. It all comes in on my droid now with out a problem. It will work with “statics” calendar, but if I make changes several times, every day, every time….??? I figured out that this only seems to happen to me when I’m trying to import a calendar that has it’s timezone and location set to something different than My Main/Target Calendar. Try changing your time zone to match your original calendar, or your local destination otherwise, eliminate the timezone and location for the calendar. This is exactly what I was looking for. Thank you for putting this on your blog. If you receive a ‘Feed Processing Error’ message when exporting events, please make sure you’re using your calendar’s private iCalendar address (‘Private Address’). You can only use your calendar’s public iCalendar address (‘Calendar Address’) to export events when your calendar is publicly shared. 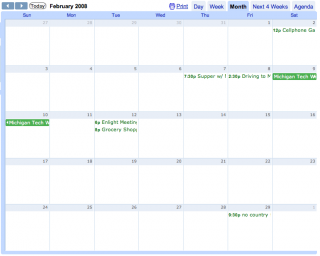 Learn how to share your calendar with others. it seems you cannot merge a calendar into a non-empty main calendar (your 1st one, the one you cannot delete) but you can merge any calendar into a secondary calendar AND/OR merge a calendar into your EMPTY main calendar. hey it worked for me…………………….. I also got an unhappy response. Any ideas? great, simple, fast. the pictures helped a lot. thanks. Works well for a 1 time import. Does anyone know of a way to have events updated after the initial import? I have a solution! 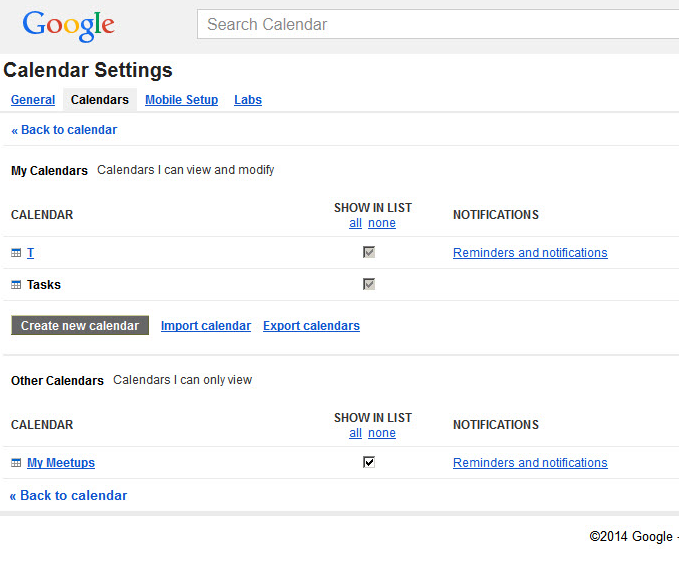 So first you go to your “google calendar’s main homepage” and it should show your list of calendars. Next click “export calendars” and you should download a .zip file with all of your calendars. Extract it out. And go back and “Import Calendars” the one you want to merge and TA-DA! Thanks for the tip. Easy to understand, concise, accurate. I loved it! Just stumbled on this top tip. Was worried it was going to get messy but this worked perfectly. Thanks! Betty’s solution worked beautifully. Thank you! Nice post, but it is of very limited use since it does not update automatically. Thanks for this tip, I really appreciate it! Saved me lots of frustration. Hey, the easiest way is to sync your calenders, simply add the contact of the second g-mail account to the first one. type in the username of the other account. You will get an e-mail, when you confirm it, those calenders will be merged. Worked very well – thanks for sharing! I am amazed Google hasn’t made this easier to do. Very clumsy. Thanks! Exactly what I needed (including the ridiculously clear instructions 🙂 ) and it’s worked nicely. Saved me a lot of hard work! to those who cant import calendars at all. possible SOLUTION: i forgot to unzip the folder with my downloaded .ics calendar files. DO that, and you’ll not be as stupid as me.. It worked! I had to merge five calendars into another sixth one, so this was immensely useful. Thank you very much. Will it sync all the time or only by hand each time ??? Would be great to merge my calender and my wife’s calender to only one ! So we can see alle the appointments to sync, so 2 calenders look the same ans sync 100% all the time. ie. our group needs to add dates that the whole group has access to but it seems that then we each have to look at the ‘group calendar’ separately to our own ‘personal calendar’ which is a bit of a hassle. Thanks in advance whether or not you have a solution. 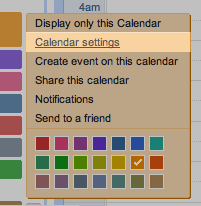 Unfortunately, in practice this is pretty limited by the fact that Google calendar is very buggy. When I export one of my calendards as described above, I get a 3.6 MB ics file. When I then try to import that into another (empty) calendar, it simply stops after a while with a box that says “import cancelled”. But of course its not really a cancellation but an import of SOME of the events. With such a large calendar, its not possible for me to say which ones are missing, but when I export the new calendar, I get a file of only 3.4 MB size. So 200kb worth of data is gone with not indication of what that might be and how to solve the problem. Overall, I would never entrust Google calendar any corporate or mission critical information. And I gave up the attempt to merge my calendars. Thanks for the great tip. Wondering why Google doesn’t have this! Took me a few reads to understand that the source calender was the calender to have data taken from and the destination calender was the one to be kept. Yes I know, how dumb of me. Anyway, import circa 300 events without problem. Worked great for me. THANKS!!!!!!!!! Faut dézipper le fichier ical créé. I followed your instructions but when I got to #3 where it says to click “add”, then Import Calendar, I don’t get an option to import. The only option I have is to create new calendar! Am I looking in the wrong place, is there another “add” somewhere hidden on the page? I’m looking under My Calendars where it lists the name of my calendar with Tasks directly under the calendar name. The 2 options I have there is Add and Settings. Greetings. I’m a top contributor at the Google Help Forum. To note, the instructions have changed slightly. The pull-down is no longer at the top of the calendars list, it is at the bottom of Other Calendars. 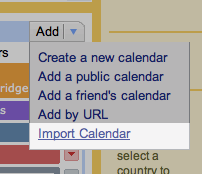 You can also find the import feature inside of My Calendars -> Settings. Other than that, the instructions are the same. Hey, I’m checking this site out for obvious reasons. However, out of curiosity I check what kind of error was being thrown by my browser, since it’s saying there is one. This page is 3 years old so I don’t know if the author reads the comments but I was getting similar errors on a page I worked on a little while ago. I spent days trying to figure out different ways to load the script and etc. but my lightbox would just not work! I was trying to use one based on prototype. Apparently, if you use jQuery and Prototype together they clash pretty bad. It has to be one or the other. There is a jQuery lightbox which works great that fixed this error for me. Problem is IT DOES NOT AUTOMATICALLY UPDATE if you make changes to any of the other calendars!!!! You have to go through the process over and over to keep things up to date if you’ve made changes. Any comments, suggestions on that?! Terrific instructions! I was planning to move all of my events over manually, and at the last minute figured “Ah, what the heck… Why not try Googling to see if there’s a way to merge two calendars?” Thanks for such a simple, straightforward how-to (even with the updated Google Calendars interface). Saved me a ton of time! 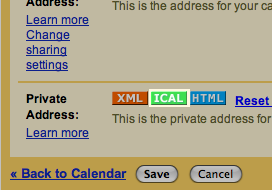 But is there a way for a HTML-calendar? I can’t export (to ical format) my 2th calendar because it’s a html calendar..
“Google Calendar has a new look!” so it’s impossible to follow these directions are outdated, unfortunately. I keep getting this error message after following all the steps: Failed to import events: Unable to process your iCal/CSV file.. Thank you–I just had to trust that the basic.ics file in the download folder was in fact my precious calendar. If you have more that one calendar in your acount, then click on the “name” of the calendars that you want to show. All the calendars that are highlighted will be showing their schedules. It’s works like an on/off button. Thanks for that – very handy. will the merged calendar automaticly update with both old calendar events? Thank you! Is this a one time import, or after this is done, and you update one calendar, will it automatically update the other. Thanks in advance! The “set-and-forget solution to the problem: http://ifttt.com/recipes/4927 by Alessandro” did not work well for me as it would just add all the calendars records as an RSS feed into one day. This is “the” answer we have been looking for!!! We are a non-profit developer organization using Google Sites to create a new website (badly needed). Our org supports 4 separate user groups and we were ‘stuck’ trying to figure out how to utilize a single Google calendar to support all of our groups at once. This feature, coupled with RSS feeds from Meetup where our meeting info is maintained, will allow us to make the new website happen in no time. Thank you, thank you, thank you!!! I keep getting the following error: Failed to import events: Unable to process your iCal/CSV file.. I had created a second calendar in Google besides my default calendar, but then decided that the second one was unnecessary and should be merged with my default calendar. Followed these instructions and then deleted the second calendar. Can’t even tell that the second one ever existed now! Great tutorial! thank you! i’ve been annoyed with this for a while. 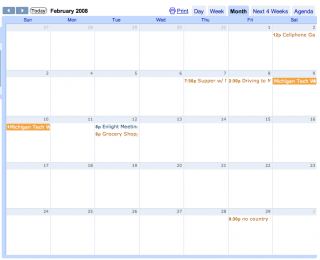 What if you want to combine two google account calendars together? 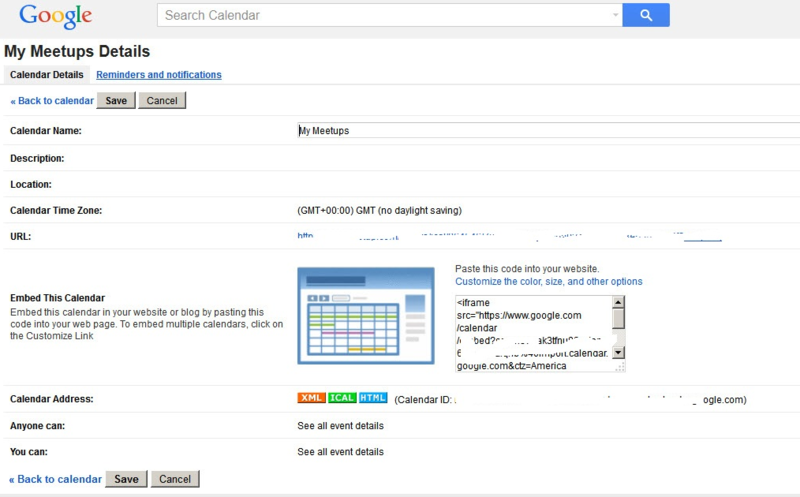 Another trick is to share the calendar with your other gmail account. Both calendars now have the same display of events. Great, now is there a way to undo this? This appears to merge the calendars, once, but how can I keep the same merged account continuously up-to-date? I have two Google accounts each with a calendar. I want to merge both calendars into a single calendar which looks the same to both accounts. Thanks for this. Worked fine, although I had to choose the dropdown menu under “Other calendars” (below “My calendars”) to find the import option. Since Google stopped supporting Google Sync for BlackBerry I had a major problem getting my schedule displayed on my BlackBerry 9900. This phone only supports online sync for Google Agenda (only my personal agenda, not imported/internet agendas) and not for Outlook..
Now that I know this method I can finally get my schedule into my personal agenda and get it also on my BlackBerry!! I’m trying to sync an Outlook calendar with Google calendar then with my phone. Any clue to what’s wrong? Thanks. That works like a charm! 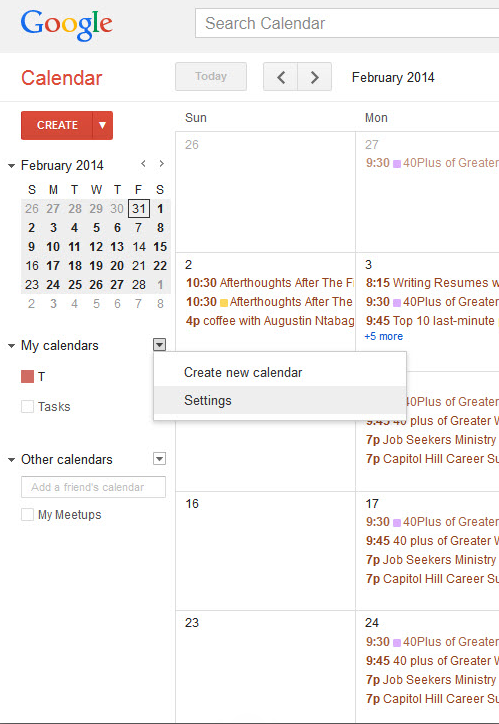 PS: The google calendar UI has changed in the mean time but it still works. completely different layout now. here is instructions with screenshot. 5. upload the basics.isc file aking sure that the target calendar is choosen. Thanks a Lot.. it worked.. Thanks for this. It was driving me mad! thanks! made my life a lot more easier! Everytime I try to download the basic.ics file, it gives me the “Failed- no ile” error. Help. Thanks for this easy solution! Thank you! This is a great tutorial! Really appreciate you putting it together for the world!